Daily Feline Prompt: A vegetal feline? This is a reblog from 2010 when Tabby’s litter sister, Nera, was sill amongst us and not yet moved on to her 10th life in the corn chambers. Tabby decided to take a break today from blogging today, as she has nothing to say about being vegetal – she prefers her food from something that once breathed and she is allergic to anything else. It was a normal Saturday morning for the cats and Nera, my number one cat, was perched on the table waiting for something to happen. Although she knows that tables are not places for cats, she sits there just to make a point. 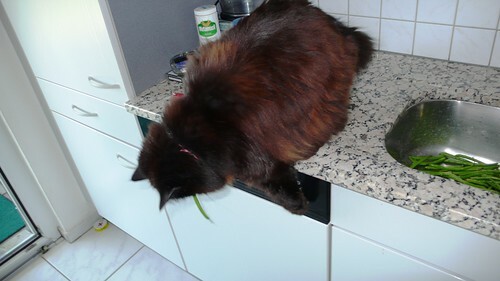 That last sentence was a signal for Nera, as my work consisted of preparing the green beans for lunch. 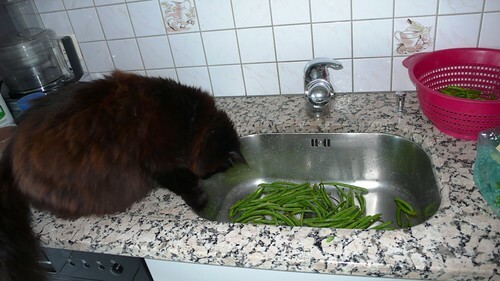 First of all I fill the sink with water and put the beans in to wash them a bit. That was then the Nera adventure begun. “Well, just watch Mrs. Human. 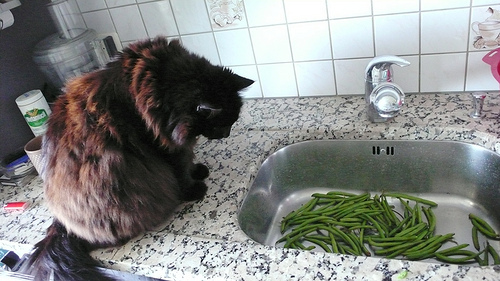 The beans are in the sink and now I have to make a careful observation to see if they move and what they do. So Nera attacked her bean and captured it in her mouth. She was so fast I only caught her on the camera as she was leaping away with it. I then did as ordered and watched Nera with her bean. 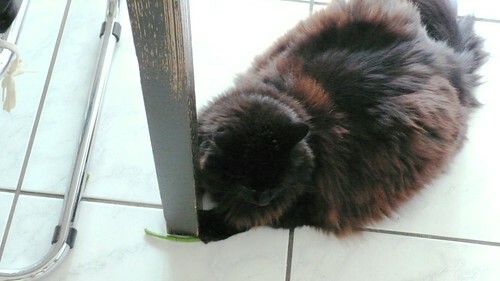 She had it on the floor and sort of played football with it until she got it “captured” next to the table leg. Nera seemed to be quite happy with the result of her hunt, and another bean bit the dust. I wonder what she will find to hunt next week. I think I must cook some carrots again some time. I love to watch Parker play with something on the floor like this. Sometimes I ‘accidentally’ let her grab something off the table just so I can watch her. 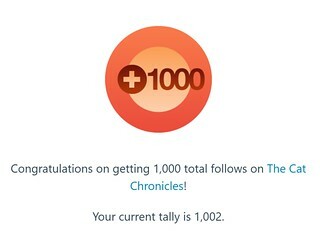 But that is just between you and me. 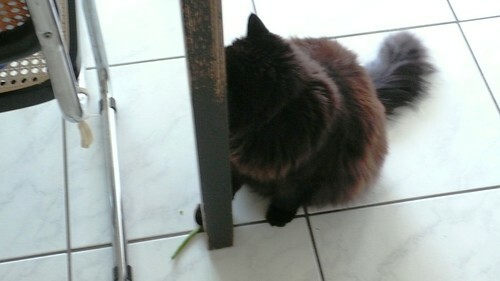 The Mister is not a fan of cats on the table…. As soon as she saw I was preparing beans she was ready for the big fight, which she always won of course. They are memories of a great feline. I love that you captured it all.